Once users have received their activation code, enter the 5 digit code into the assigned field. iBidWatch: Save time! This quick-reference folder gives you instant access to your favourite lockers. iBidNotify: Get ahead! Instant outbid notifications by SMS or EMAIL keeps you on top of the action! iBidInfinite: Bid on unlimited auctions, any time! With no monthly limits! iBidManager: Proxy Bidding! Enter your maximum bid and let iBidManager do the work for you! 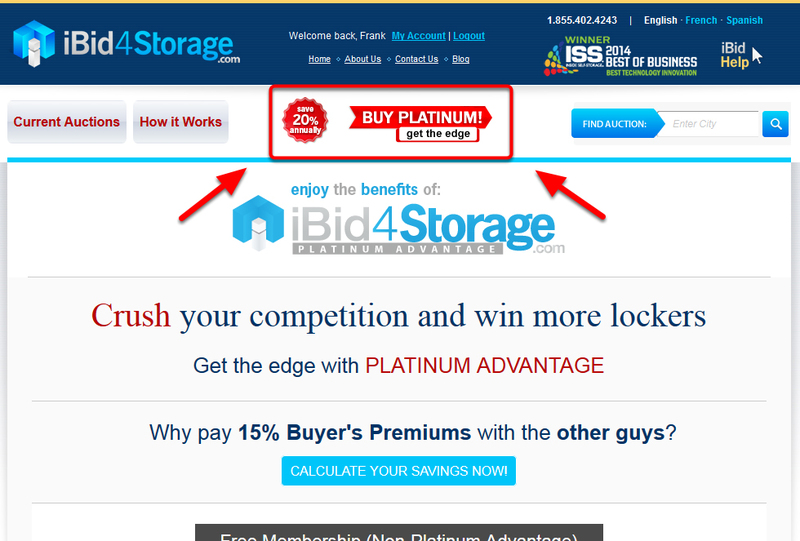 After registering or logging into iBid4Storage, the “My Account” link will appear at the top of all pages in the dark blue tab, beside “Logout”. To find out more, “My Account” details are provided in the “Account Management” article in iBidHelp. To find Current Auctions, press the “Current Auctions” box in the white bar, near the top of the page, on the left-hand side. To find Current Auctions closest to you, users can specify the location of auctions by entering their hometown in the “Find Auction” bar. It is located near the top of the page, in the right-hand corner.